Looking to make a rewarding and fulfilling contribution to your community? Do you have at least six hours a month to an essential community service? Want to be surrounded by outgoing, friendly CSL residents who are committed to their city, generous with their time and looking forward to helping you succeed as a new recruit? Please join us on April 25. vCOP est un organisme communautaire et bilingue. For more information search “vCOP” on this blog. Congratulations to all of our extraordinary Cote Saint-Luc volunteers who were recently feted at the Cineplex Odeon in the Cavendish Mall. Hundreds of volunteers were present for a unique video presentation introducing each of the winners from every sphere of life in our city. Cote Saint-Luc has been blessed with a rich sense of volunteerism for over 50 years. Whether its in sports and recreation, culture and leisure or public safety, Cote Saint-Luc is a wonderful place to live in large part because of the generosity of spirit, time and activity offered by so many hundreds of residents all year long. As a long time volunteer myself, getting involved in the Emergency Measures Organization back in 1979, I can easily relate to our volunteers, of any age, and understand just how enjoyable and rewarding it is to get involved and to give back to one’s community. A special shout out to the incredible, outstanding life-savers at EMS and to our dedicated members of vCOP. Thank you to the volunteers who donate their time, experience and know-how to help make our city run. Whether you coach our sports teams, deliver books to shut-ins, respond to medical emergencies, patrol our streets and parks or volunteer in dozens of other activities large and small, you make a profound difference to the people of Côte Saint-Luc. Free Press. April 4, 2014. Click to enlarge. Are you ready for vCOP? 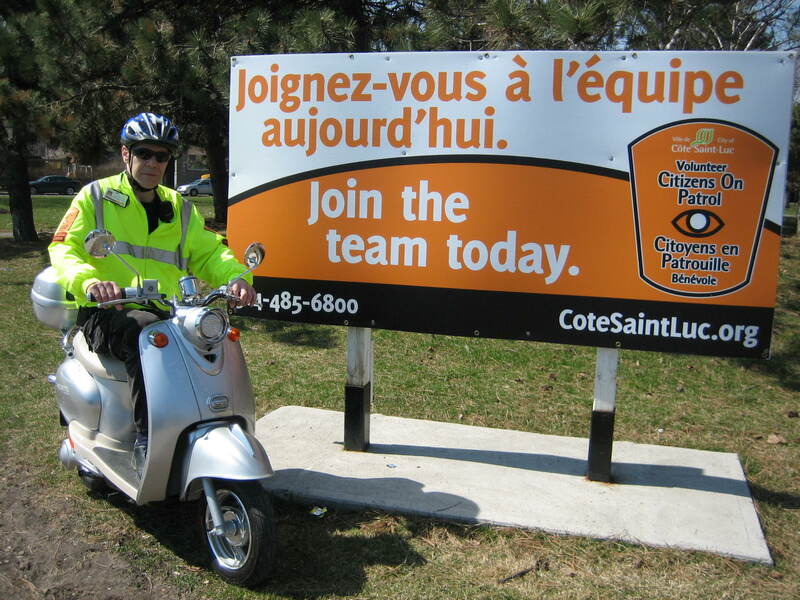 The City of Côte Saint-Luc is looking for new recruits and will be holding an information session on Tuesday, April 8 at 7pm at the Harold Greenspon Auditorium at Côte Saint-Luc City Hall (5801 Cavendish Blvd.). Prospective volunteers should be residents age 18 or older. They should bring identification and a completed copy of the application form available at CoteSaintLuc.org/en/vcop. There is a one-time membership fee of $75 and volunteers are required to make a minimum commitment of six hours per month. 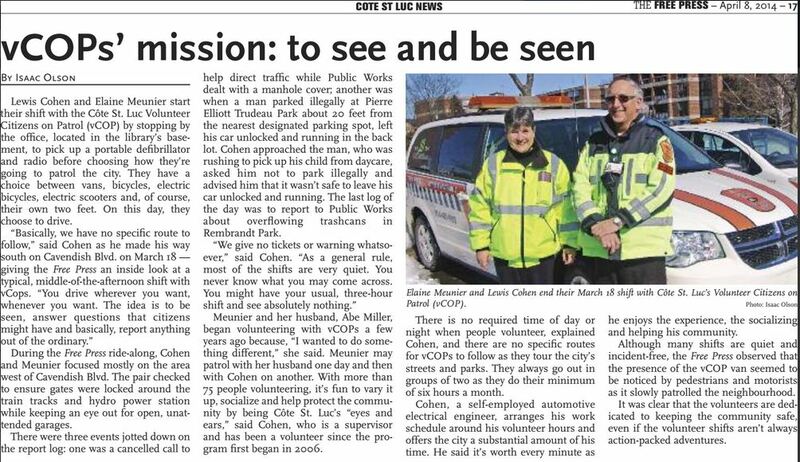 Since its inception in July 2006, vCOP volunteers have worked alongside public security, police, fire and EMS services to add to Côte Saint-Luc’s substantial safety initiatives and have logged in close to 40,000 hours. 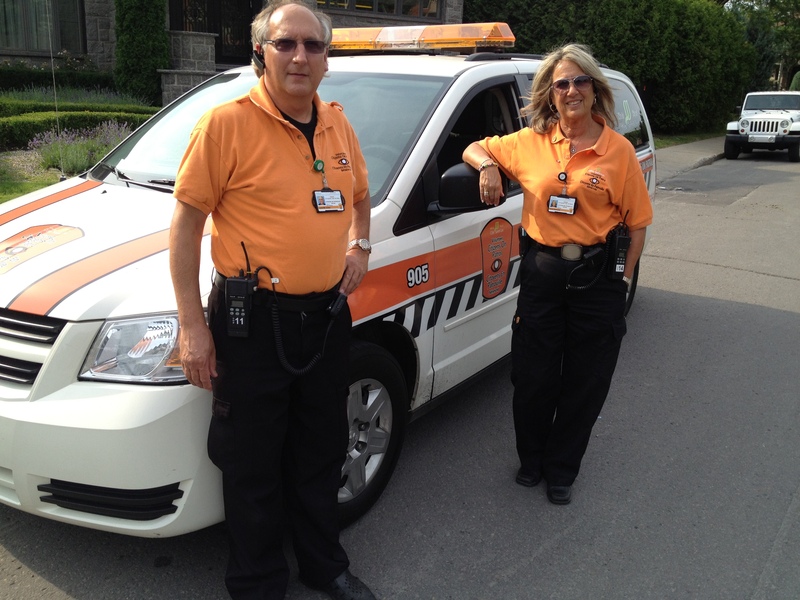 More than 75 volunteers patrol the streets of Côte Saint-Luc in marked vCOP vans, scooters, on foot and on bicycles. The volunteers notify local agencies about emergency and non-emergency situations as they act as observers throughout the community. Volunteer patrollers also help out at all community events, check smoke detectors in homes in partnership with the fire department and assist with residents at major fires and other large incidents. “I’d like to encourage residents to come to our meeting and find out first-hand what our volunteer patrollers can do for our city on a daily basis,” said Councillor Glenn J. Nashen, the council member responsible for vCOP. “Members of vCOP will be in attendance to answer questions and hopefully recruit a few more members. They have made an enormous contribution to the safety of our city and are an invaluable resource to Côte Saint-Luc,” said Councillor Nashen, who created the group eight years ago.